For those of you who have been following our recently launched Real Weddings blog posts, you’ll know just how much we love to feature beautiful photographs of real brides wearing our wedding accessories. Today, we are thrilled to share with you some amazing photographs of Lyndsey and Colin’s special day captured by Tandem Photo. 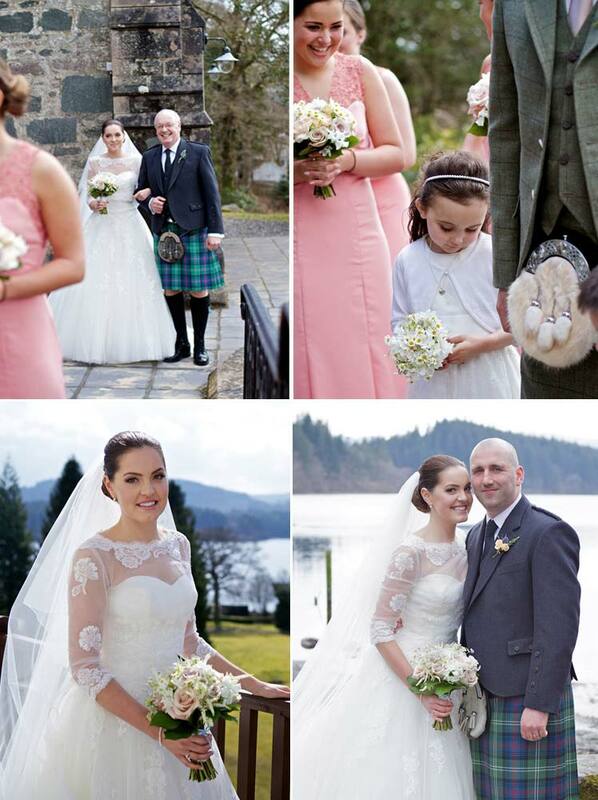 We adore Lyndsey’s classic bridal style and we’re delighted to share their beautiful wedding with you. 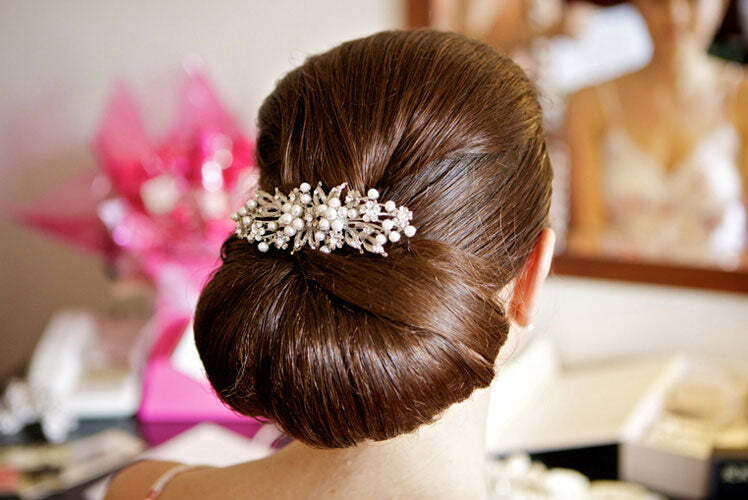 Lyndsey looked sensational in our Pearls of Extravagance Large Hair Comb. She had hunted high and low for a hair accessory as she had an idea of what she was looking for but just couldn’t find it. Her Mum then came across our comb on our Bridal Gallery. Lyndsey is thrilled to confirm “that it was one of your other brides who inspired my hairstyle and hair accessory!” and we are pleased to say tell you that Lyndsey is now featured on our Gallery looking stunning. In her hunt for a photographer, Lyndsey felt it was important to have a photographer that made them both feel comfortable and relaxed. “We knew we didn’t want to spend too much time away from our guests posing for photographs. We really wanted a photographer who would work quickly to capture the group shots but also capture lots of natural ones”. Lyndsey and Colin were thrilled when they came across Audrey and David of Tandem Photo. Tandem have recently rebranded the wedding side of their business to form Tandem Photo. This was a decision that wasn’t taken lightly but has successfully taken off more than they could have ever hoped for. Audrey explains that “she has been a wedding photographer in her own right for many years but with the addition of David, her partner in life and love, the business has gone from strength to strength”. By “complimenting each other’s styles their unobtrusive and friendly approach results in natural images that tell the couple’s unique story”. We often hear that photographers and brides need to form a relationship and Audrey agrees. 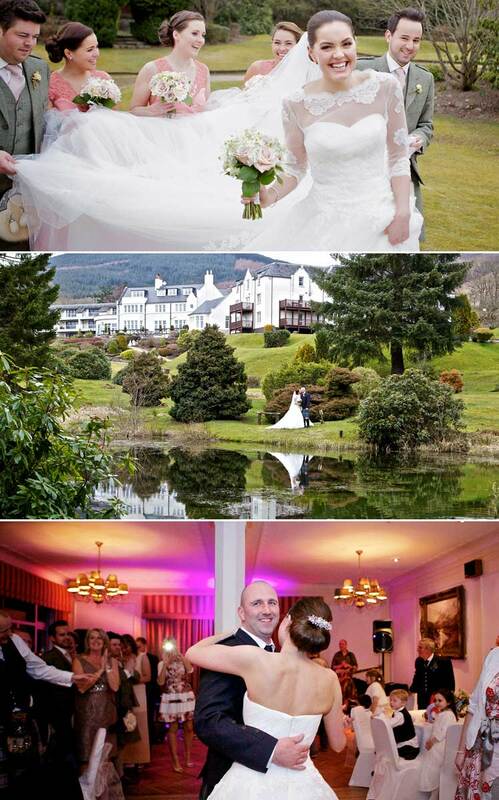 “We love it when we form a bond with the couple and this was definitely the case with Lyndsey and Colin. By the time the wedding arrived we had got together for an amazing engagement shoot, photographed the flower girls which was a birthday present to the Maid of Honour from Lyndsey, met mum and dad and were just as excited about the big day as they were”. “From the engagement shot, the meetings and chats on the run to the wedding, the day itself, the ‘treasure the dress’ shot with my horses Molly and Yogi, to narrowing the 700 plus photographs down to an album it has been an absolute pleasure. Not only did we find an amazing wedding photographer but we met such a lovely person who has become our friend”. Audrey’s advice to couples getting married is to “make sure they feel comfortable with their chosen photographers so they can relax and enjoy the day knowing that their photographer will capture all those precious moments that will pass by in a flash”.